The West Linn Adult Community Center has organized a field trip to Spirit Mountain Casino. Sign up to go with them for a day of fun. What is it about casinos that lures us in, and then of course, entices us to play the many games available? When I was a young adult living in Europe, I visited the Monte Carlo Casino, officially named Casino de Monte-Carlo, a gambling and entertainment complex located in Monaco. In those days (an eon ago), you would dress up "to the hilt" as we would say in America. The casino was quite impressive with gold trimmings, red velvet everywhere, beautifully dressed ladies playing something, or simply watching; maybe sipping champagne or an exotic cocktail while watching gentlemen dressed in suits and ties with serious expressions on their faces, which made you wonder were they winning or losing? Fast forward to many years later and to Las Vegas, THE city of casinos in America. My then-new American husband took me to the city where "whatever happens in Vegas, stays in Vegas" and, quite frankly, it took me a while to understand what this phrase really meant. On this first visit, I was blown away by the vastness of the casinos. I had never seen anything like it. When you entered, the casino went on and on forever. And the sheer number of people in the casinos was amazing. How many people were working the slot machines, the tables, the whatever? I'm not really a casino person, so when my husband and I would occasionally visit one, I would get a glass of wine, tuck myself in a corner somewhere, perhaps where a pianist was playing some soft and easy listening music. And as I love people watching, I was quite happy. Of course, I have been told about the thrill of playing and, especially, winning, but because I'm not a card or dice person, I often haven't a clue what's going on. Still, I do know that many people enjoy gambling at the casino. I hope they will join us when the West Linn Adult Community Center takes a field trip March 14 to Spirit Mountain Casino in Grande Ronde. The casino has 17 blackjack tables, craps, pai gow, roulette and more. Pao gow poker is an Americanized version of the ancient Chinese game of pai gow; it is played with cards instead of traditional Chinese dominoes. 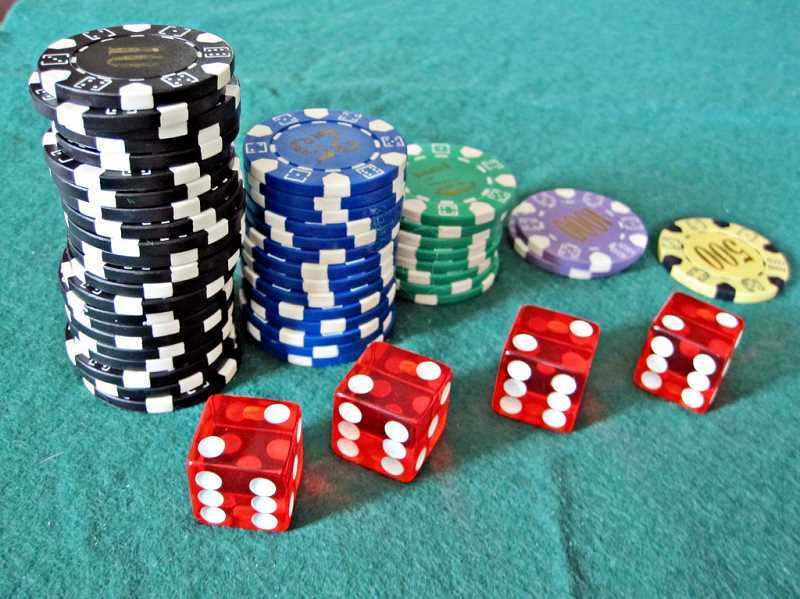 Craps is an exciting and fast-paced game that can be intimidating to beginners. But once you learn the basic "pass" and "don't pass" bets, you can play comfortably and with confidence. Need to learn the rules for these games? Check the internet. There's so much information out there that you will become an expert before you know it. Then, so much easier, and sometimes more fun to deal with, there are the slot machines. All you have to do is insert money, pull the handle and see what happens. Excitement is always there. Join us for the Spirit Mountain Casino bus trip on Thursday, March 14. Transportation cost is $12 at the time of sign-up at the WLACC. The bus leaves the center at 9:15 a.m., and returns at approximately 3 p.m. Lunch is on your own. The front desk will have menus available from the casino so you can plan your meal ahead. You can join the Coyote Club to get special perks when you arrive at Spirit Mountain, if you wish. Space is limited, so sign up soon at 503-557-4704. The lunch menu this week features lasagna, garlic bread, corn and chocolate cookies on Friday, March 8; pot roast with mashed potatoes and vegetable medley on Monday, March 11 and black bean soup, chicken salad sandwiches and vanilla cupcakes on Wednesday, March 13. Cost is $5 per person. The WLACC is located at 1180 Rosemont Road. Mieke Wiegman is a volunteer at the WLACC.